COLUMBIA, Mo 8/9/13 (Op Ed) -- Boone County Sheriff Dwayne Carey has a bone to pick with the City of Columbia about lack of community engagement over rising crime. Move over, Sheriff. I've got a bone to pick with Boone County, about its woeful lack of community engagement over taxpayer money, employee salaries, and the County's annual budget. For years, the County Commission has waged a sneak attack on transparency that keeps taxpayers in the dark. County Commissioners hold "public" hearings and regular meetings at 9:30 am and 1:30 pm weekdays, when few people can attend. Adding insult to injury, Commissioners debated and approved the 2011, 2012, and 2013 budgets during the Christmas holidays. They ran a public hearing notice about the 2012 budget on Christmas Day. That's right -- on Sunday, December 25! They approved the 2011 budget 7 days before Christmas and the 2013 budget just 5 days before Christmas. All of which makes this July 26 Trib article County wants to see more public interest in budget not laudable but laughable. Interested parties have told me they would attend Commission meetings -- especially budget hearings -- if the timing was better. County Commissioners, in fact, are so removed from the public they serve and apparently so secure in their $80,000 average salaries that I have openly wondered, "are these elected officials deliberately shunning the public?" They apparently don't think so. 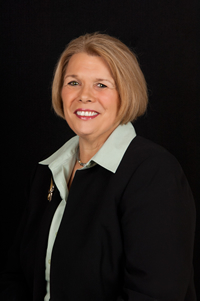 Boone County Commissioner Karen Miller seems to blame the public for lack of interest. Only twice in her 20 years on the commission has someone spoke at a budget hearing, "which is pretty sad," Miller said in the aforementioned Trib story. Pretty sad, indeed. Is the all-Democrat Commission disinterested in or ignorant of the demands working people face? The Columbia School Board and City Council -- neither of which have paid members -- meet at 7 pm, so working constituents can attend. Why not the County Commission? And why play this dumb game that the public isn't interested? Even Hank Waters played along, with a patronizing editorial last week that compared the public to a snarling dog and suggested folks are just too satisfied with the County budget to bother with hearings and meetings and other "dull stuff." "County Auditor June Pitchford, like her counterparts in other local government jurisdictions, regularly complains about lack of public interest in the annual budgeting process," Hank writes. Budget hearings during the Holidays? Well Duh! In addition to evening meeting times, Commissioners could televise their hearings like CPS and City Hall. A better bedside manner might encourage more participation, too. At a Commission budget hearing, I watched advocates for Humane Society funding get a scolding from Commissioner Miller for showing a film she had already seen. It surely deterred their interest in approaching the Commission and everyone they told about it. So, Madame Commissioner and Messier Newspaper Publisher, do not confuse lack of participation with lack of interest. And for the public's lack of participation in County budget hearings, blame elected officials. When you're spending our money, after all, it's your job to accomodate us. Anything else is a sneak attack on transparency, aka the beating heart of democracy.